We offer unmounted prints in case you want to frame yourself or have them framed locally. 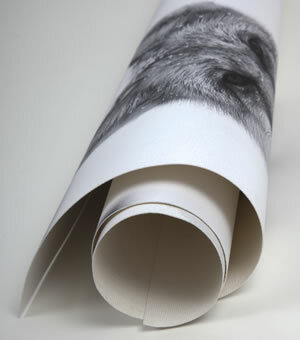 Large prints ship rolled in a tube; small ones ship flat. Look here for details on all of our papers and cloth. WallPeel can be applied directly to walls (or your car!) without any of our mountings. You can also purchase a frame elsewhere and apply your print to the board that comes with the frame (may not be archival). Note that canvas does not work well in a traditional frame with mat and glass unless the print is stretched on a frame or mounted to MightyCore board (as with our flat mount). Without mounting it may not stay flat and will be damaged if it touches the glass. The other paper choices will work well hanging behind a mat in a traditional frame. 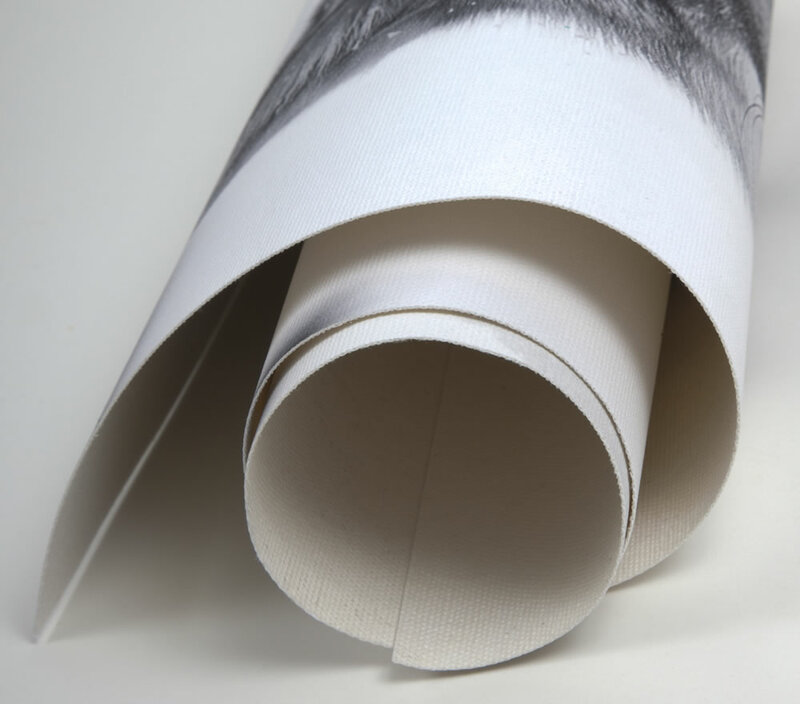 We provide on request 3x3-inch free samples of a test image printed on the seven media we offer with coatings and a sample of the Mighty-Core board we mount on. Just send us email with your postal address to request this free sample pack. The quality of the prints I've received since discovering Redipix is second-to-none and the black and white images printed on metallic paper were absolutely brilliant. I love receiving preview prints via e-mail to review and approve prior to actual printing and the opportunity to actually speak with the printmaker allows for a level of customer service I've never experienced before. From here on out, I deal with Redipix exclusively.